Since 2004, AIRcontact is THE airsports marketplace to sell and buy in general aviation for all products and services. 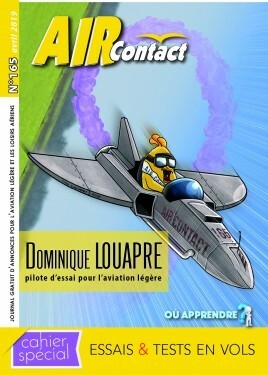 AIRcontact is a brand belonging to ciel & plume company. Our office is based in Roanne, France. The French-speaking countries is also a part of your world ? AIRcontact will bring you the best through a multi-channel media ! * Regulars posts via socials medias (Facebook & Twitter). With AIRcontact you are advertising with the actuals tools... At the best price ! or send us an email at info@air-contact.com for more information.